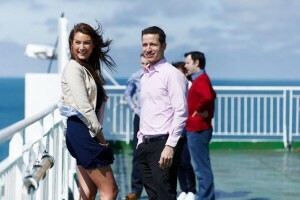 News likely to appeal to those seeking a short break to Britain this Spring is the announcement from Irish Ferries that motorists who book before March 22nd can now bring two lucky friends with them free of charge. The offer, which equates to ‘three for the price of one’, is valid on all cruise ferry sailings from Dublin to Holyhead and Rosslare to Pembroke up to June 30th. On French routes from Rosslare to Cherbourg and Roscoff, motorists who book by March 22nd can also avail of Irish Ferries’ ‘friend-friendly’ offering by bringing a friend for free up to May 24th and from Sept 3rd – Dec 15th.